'A remarkable book; surprisingly gripping and often very moving ... at once disorientating and illuminating.' - Robert Macfarlane We shape ourselves, and are shaped in return, by the walls that contain us. Buildings affect how we sleep, work, socialise and even breathe. They can isolate and endanger us but they can also heal us. We project our hopes and fears onto buildings, while they absorb our histories. In Living With Buildings, Iain Sinclair embarks on a series of expeditions - through London, Marseille, Mexico and the Outer Hebrides. A father and his daughter, who has a rare syndrome, visit the estate where they once lived. Developers clink champagne glasses as residents are 'decanted' from their homes. A box sculpted from whalebone, thought to contain healing properties, is returned to its origins with unexpected consequences. 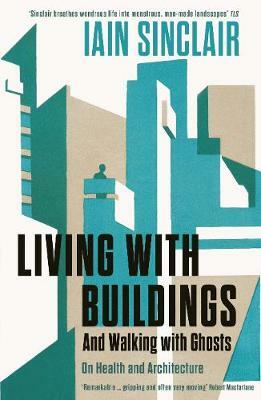 Part investigation, part travelogue, Living With Buildings brings the spaces we inhabit to life as never before.